Capture the behavior of your customers - Every business has a variety of customers. Not all customers are created equal. So if you want to target the right customers for your online business you have to capture the behavior of your customers. And it is not an easy task. To make the things easy and in the most precise way we built this helpful Google Analytics Dashboard Extension which assists you in all the best possible ways. You can measure and analyze better with this extension, fill the missing aspects and ultimately sell more. Get the Power to view your E-store' Analytics - E-store' analytics is a great way for the marketers to identify the most sales product and it provides great assistance to customize the consumer experiences based on their preferences. 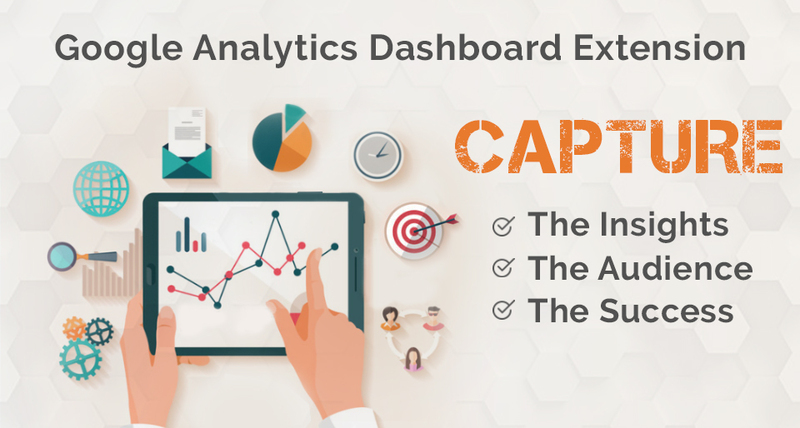 With our Google Analytics Dashboard Extension, "you will be able to enhance your ability to collect and analyze the data from your Magento E-store Admin. You can view the reports of Pageviews, Traffic sources, Average session duration, the average time spent on page and Bounce rate on your site etc. Reports are shown in tabular and graph forms for better understanding. Power pack solutions for all your customers' needs - Customers may be finicky and unreasonable, but they feel appreciated if you understood their needs and wants and it is the responsibility of everyone in the company to make sure this happens through every interaction. Every customer have a different need so for online business retailers it is important to understand their needs and provide them the required products. With this demanding Extension, you can view the most selling products and capture your customers’ preferences. You can even look at the specific performance of each page. Quickly Spot any trend of your E-Store - Google Analytics Dashboard Extension integrates basic reports of Google Analytics with your Magento store. This helps in ensuring that you are always staying on top of your analytics and are able to quickly spot any downward or upward trends. Through this Google Analytics Dashboard Extension, you can easily get the deeper insights for your E-store. At SunCart you’ll get all these advantages so Get this Extension, Track your customers’ action and boost your E-Stores’ Sales.